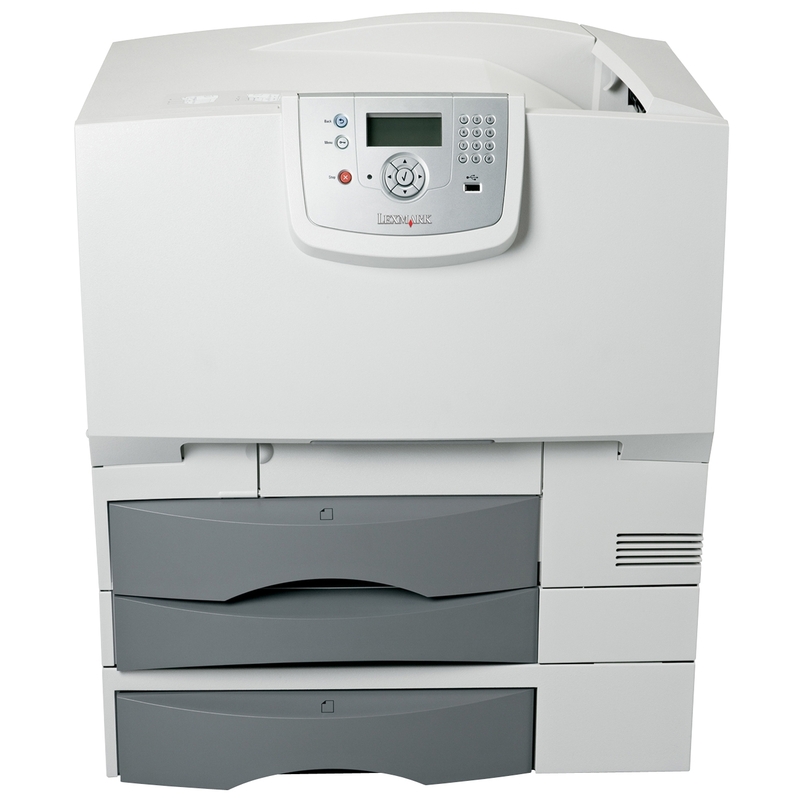 The Lexmark C780dtn allows the user to create printing jobs of up to 10,000 pages. An energy saving printer, typical electricity consumption for this unit in product testing resulted in 8.29 kilowatt hours. Save money on replacements and energy with this incredibly efficient printer model that manages print production runs without waste. Compatible with Apple, Citrix Metaframe, Linux, Microsoft Windows, Novell, Unix, IBM iSeries and IBM AS/400® with TCP/IP to OS/400® V3R1 or later equipped with OS/400 Host Print Transform, or any platform supporting TCP/IP, the Lexmark C780dtn is a printer with universal capabilities. Ethernet, Wi-Fi and USB port connections allow for the print production options most office environments demand in a machine serving a printing network. Discreet and perfunctory in size, this a strong choice for anyone seeking a multipurpose peripheral without the hassle of spatial limitations. The Lexmark C780dtn model printer offers standard duplex printing of up to 35 pages per minute (up to 33 in A4) in 4800 Colour Quality mode. With 1200 x 1200 dpi capabilities, this printer delivers fine monochrome and colour printed pages for far less than other commercial printers. Schedule printing job queues in advance. This printer comes with an 800 / 133 MHz processor and 256MB standard and 768MB maximum memory selections. The main disadvantage of this Lexmark model printer is that manual loading of drawers and trays must be done every 500 pages. The duplex unit comes with a 100 sheet multipurpose feeder for abbreviated printing, copying, and scanning jobs, but overall this machine requires more attention than some of the other similar brand name competitor models on the market. This Lexmark printer comes with a 12-month limited purchase guarantee. Source a reliable retailer of Lexmark compatible replacement parts before buying this machine.